What Are the Big Letters? Learning how to write each letter of the alphabet is an important part of getting ready for Kindergarten! 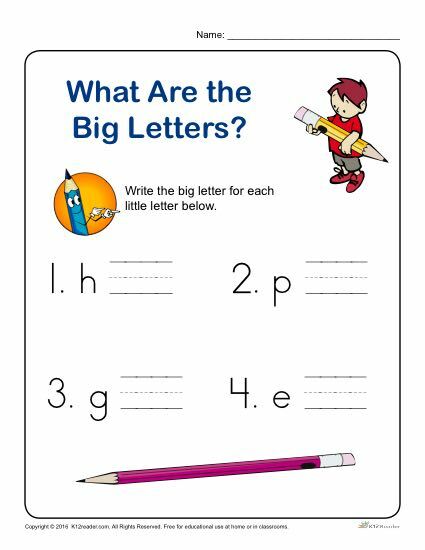 Can you write the uppercase letter for each lowercase letter on this printable activity? This is a great resource to be used both at home and in the classroom. Ideal for Pre-Kindergarten students, but can be used where appropriate.